If you’ve been looking for a track to set the tone for your Monday night, we got you covered. 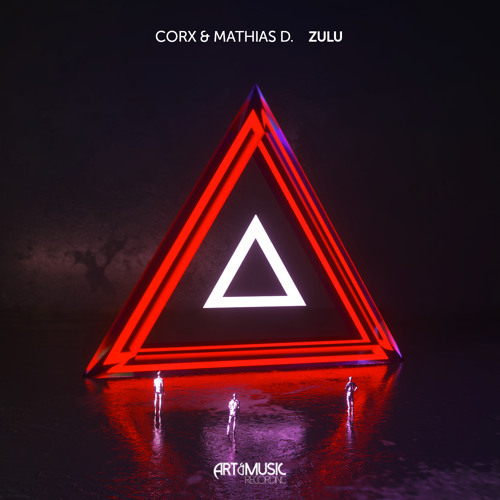 “Zulu” is a thunderous electro house banger, courtesy of Corx & Mathias D., signed to Art & Music Recording, that will keep your heart racing the entire track. Packed with mighty drum grooves and electrifying vocal samples, “Zulu” is truly a record that will be exploding dance floors all summer long. How did you guys meet? How did you start producing music together? Corx: I met Mathias thanks to a track that I liked a lot, it was titled “La Petro”. I sent him a personal message on Soundclound with the Idea of “Zulu”; Mathias loved it and we started to collaborate. The next week Mathias returned to me with the first finished version of Zulu, I added very energetic ethnic voices, and a very epic break. I really liked that version, I remember that I had flutes and pianos. Mathias D.: I met Corx on social networks. I stumbled upon one of his tracks “Rodeo” which I immediately loved. 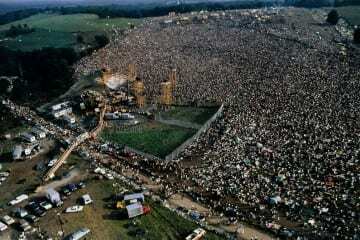 I started to follow his work until the day he came across mine and he then went to contact me to ask to work together. 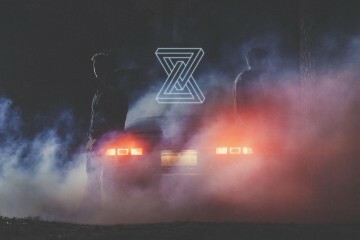 What’s the story behind your latest release “Zulu”? Corx: I came up with the main idea. Loved the drums but the idea was to do something like David Allen’s track “Kubera”. I really love that track. But with my Tribal style something else came from me, I contacted Mathias because I liked the work he did on “La Petro” with the vocals cut in the drop. The idea was something more tribal at the beginning, but little by little we were working on our styles. Mathias added that vocal sample, which we finally decided to call the track “Zulu”. I think we have 5 versions of Zulu with different drops, and different breaks. Mathias D.: Corx sent me an idea and I was immediately hooked on the rhythm of drums. He sent me the project and I started working on it as a lot of ideas were popping up in my mind. A week later, we sent the demo to Art&Music. They loved the idea but there was still a lack of work to satisfy them 100%. After restructuring the track and creating an “epic” atmosphere in the break, the boss Dr. Shiver was very satisfied. What do you expect for the future? Any other releases planned? Corx: I hope that the future is not very far, but I have great expectations for this year. I want to release music on big labels, and, if everything goes well, the following weeks I will be signing with Armada music. Regarding my music, I have many projects, different styles, I want to try things that make me feel good and comfortable with what I do. Maybe try to do more relaxing tracks: I really love The Future Bass / Pop. I still do not have signed tracks for the future (which are concrete) but I have a lot of music finished up. Of course, I want to release more tracks with Art & Music Recordings: it’s a great label, which had been supporting us a lot. I hope this will be a great year for me. Mathias D.: I hope that “Zulu” will go out of print and that we will have the support of big artists of the EDM scene. We have several projects to finish with Corx including Art&Music because we have signed 3 exclusive tracks for the label: the best is yet to come. For my part, I have a dozen tracks alone and in collaboration, signed on several labels, which will come out this year. How was it to work with Art & Music Recording? Corx: As mentioned before man, they are supporting us since they responded to our mail with a positive reply. We really have had a lot of patience for this track, we wanted to release it on this label, it is a really incredible label, with a lot of support. Bruno and his team, they are the best people, they are helping us a lot, it is really an honor to be part of this family. Mathias D.: Dr. Shiver and his team are very serious and professional. They allow young artists like us to shine and become known to the general public through our productions. A little nod also to the confirmed artists of the label, David Allen and Solberjum, who bring us all their support. What’s the reaction you had when you received the demo of “Zulu”? Why did you decide to sign it? The first time I heard this track I thought “damn it, this can be a dancefloor killer”! The mix and the master were not there yet so I did what I am used to do here at Art&Music Recording when we receive a great demo that is still missing some details: let’s immediately sing this dope banger and fix it a bit to make it epic! So we signed it and I finalized mix & master very quickly working on adding a bit of production… When everything was ready I just thought: “now it’s pure madness” and I was even happier to have signed these talented guys and to have given them a warm welcome into our family”! Any news that you want to share with us about the forthcoming releases on Art & Music Recording? Man…. There’s a lot of news. I am really excited for how this 2018 is going and for what is already planned! We have something like 19 new tracks ready to be licensed and released, lots of new collabs with huge artists and…. the cherry on the cake is that we will soon start to do live-streamed Dj sessions turning our studios into a club for a very few selected guests. If you want to better understand what I’ m talking about and to listen to some great ID’s that will be released soon, just google “Dr. Shiver presents Art&Music Recording 2018 Miami Compilation Live Dj set”. Previous ArticleKygo x Alan Walker Collab "Definitely Going to Happen"